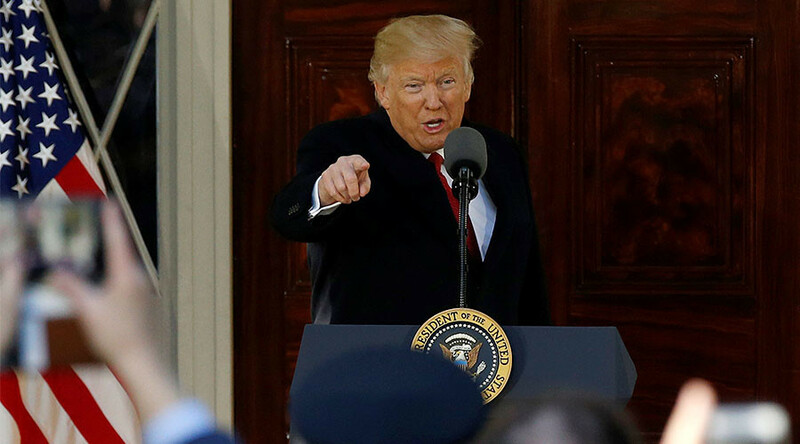 President Donald Trump has accused North Korea of “behaving very badly” and “playing” the US for years, shortly after Secretary of State Red Tillerson hinted military options were on the table during his visit to South Korea. “China has done little to help!” Trump also said in a tweet from his personal account. Tillerson is due to visit Beijing on Saturday and meet with Chinese President Xi Jinping. “We are exploring a new range of diplomatic, security and economic measures. All options are on the table," he said during a joint news conference in Seoul. While the US does not want military conflict, if North Korea elevates the threat of its weapons program to a level Washington believes requires action, “that option's on the table," TIllerson added. US, Japan and South Korea are currently holding naval exercises off the coast of the peninsula. Washington is also deploying armed drones and the THAAD missile defense system to South Korea, in an effort to defend from North Korea’s ballistic missiles. China has voiced concerns over the THAAD, suggesting it might threaten its own nuclear deterrent and encourage US first-strike capability. The US insists the system is purely defensive and intended solely to deter Pyongyang. Talks were the best way to resolve the problems on the Korean peninsula, Chinese Foreign Ministry spokeswoman Hua Chunying said on Friday, according to Reuters. However, the US missile defense system would "upset the regional strategic balance," as its radars would cover a large part of China. 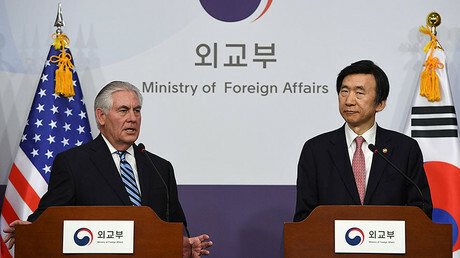 "We do not oppose South Korean taking necessary measures to protect its security, but these measures cannot be based upon harming the security interests of South Korea's friendly neighbor, China," Hua said. South Korean President Park Geun-hye was removed from office last week, after she was impeached in a corruption scandal. New elections are scheduled for May 9. Moon Jae-in, an opposition politician who has questioned the THAAD deployment, is leading in the opinion polls.